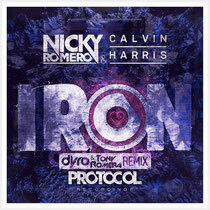 Nicky Romero recently announced that he will be releasing a remix package for his single ‘Iron’. The remix package, which features remixes from Dyro and Tony Romera, will be released on October 8 via Protocol Recordings. The first remix comes from Dyro, a fast-rising talent, and the second from France's rising star Tony Romera. In Dyro's remix, he accentuates Calvin Harris' vocals by using an intense symphonic melody paired with light drums in the build. As the energy of the song intensifies, Dyro adds a powerful yet melodic big room synth before tipping the song into a hard-hitting, grinding bass-filled drop. Tony Romera's remix is quite different, in that it utilises ‘Iron’’s recognisable melody while giving it a unique twist by strategically altering the sounds and adding a series of drum kicks and percussion. In addition, Tony Romera swaps the original's drop with an interesting new drop that gives ‘Iron’ a new lease of life.